I want to like this C65 GMT but the vintage theme is getting a bit old (pun intended..!) and the homage/replica theme is a bit too obvious.. At least it doesn't have the cyclops. I went down this route, cousins you might say. To suggest the CW C65 GMT is an homage / replica of the Rolex Explorer is, I feel, a bit strong. Homage, arguably; replica, definitely not. Yes, there are styling similaries e.g. Triangle orange GMT hand and steel bezel but there are many detail design differences. On the other hand, the Steinhart is much more of replica with many similarities with the Rolex. Congratulations, an excellent review of a watch that is slightly different, but still pays homage to the original of the species, without being a direct copy. The original Explorer II was very unloved at the time it was produced. Wasn’t really a GMT either. I read somewhere that the original niche market was cavers, hence the great lume and the 24h hand. I think one is safe to call the Trident a homage to the 1655, and certainly in the case of the Steinhart. Neither is pretending to be a Rolex and is therefore not a replica...if it were we wouldn’t be allowing discussion and photos of it. Correct, originally for spelunkers or anyone working where you could be disoriented/lack light to tell day from night. Was a 24 hr watch more than a GMT. It's my favorite Rolex. As worn by Steve McQueen of course. I read an interesting article, shared on this forum I think, about watch nicknames. It described that while the original Explorer II is called the Steve MqQueen, he actually WASN’T known for wearing one regularly. It was the Sub he was most frequently seen wearing. Makes one wonder if perhaps the nickname was pushed to generate interest in a watch that was initially unpopular. 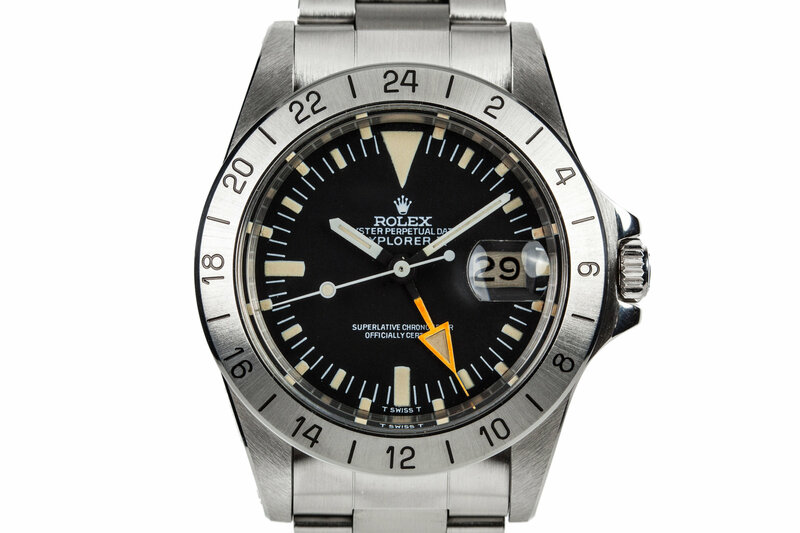 I find the spelunking connection origins of the Explorer II a great example of a true tool watch. Talk about specialized! I’ve always liked the original Explorer II, but something about the dial just didn’t sit well with me. I thought all the hash marks made it look early 70s, but not in a good way. The C65 GMT has everything I love about the Explorer II while ditching everything I don’t love. Definitely not a replica, and nor do I think it’s even an homage. It’s taken the “bones” so to speak and given them a fresh, updated approach - a hint of vintage, but not over the top. This will be my next CW...at some point. Love the lack of cyclops and the colour matched date wheel, really great looking watch! I can't get on with them - don't like date windows at the best of times, and I always thing a cyclops just looks like a wart! Ive ordered the C65 GMT. Just a question ref GMT hand on this movement (ETA 2893-2). We know you shouldn’t adjust the date around the 9pm/3am “danger zone” (as mentioned in CW user guides) but bearing in mind it’s the same crown position for adjusting the GMT hand, is it ok to move the GMT while in this danger zone? I’ve never heard it mentioned so I presume it’s ok but would be grateful if someone could confirm. Thanks. Yeh, it's ok to use the GMT hand at all times. It'd be a pretty naff complication otherwise. Thanks for that. I’ve always thought you must be able to as I’ve never seen anybody saying not to and it’s a pretty common GMT movement. It’s the fact that it’s the same crown position as the date that’s had me wondering. Looking forward to getting it. CW website says “early December delivery”. That’s now. COME ON CW. They said GMT in stock for early December and that’s exactly what they’ve got. It’s on its way. Should be here this morning. I really can’t complain about Christopher Wards customer service. I’ve found it to be excellent. I’m very jealous, not heard anything about mine yet, fingers crossed for this week.